There is a strong possibility that every person reading this will be involved in some kind of car accident in his or her lifetime. With millions of miles of road in this country and hundreds of millions of cars, it isn’t surprising that there would be a fender-bender or two. 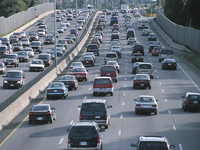 In fact, the number of car accidents annually is somewhere around six million. Some car accidents cause more than just minor damage. Some can be so severe that they result in death or serious bodily injury and many of these are the result of one driver’s negligence, carelessness, or recklessness. One of the first things you must do if you have been involved in a car accident is contact a skilled Maryland personal injury lawyer. This is especially true if you have been seriously injured in a motor vehicle collision. It is important that you begin to preserve all of the necessary evidence to help you prove your case should it go to trial. If you were injured, seek medical attention for your injuries as quickly as possible. The local police will typically issue a police report when a person requires transportation from the accident scene by way of an ambulance, or if one of the involved vehicles needs to be towed from the accident scene. The police report will provide a summary of the way the accident occurred and will identify the parties and witnesses. It is also important that you gather your own information at the accident scene. If you can, you should take pictures. By law, you are required to exchange contact information with the driver of the other vehicle, which is another valuable piece of information. Car accidents usually happen because one driver was at fault. The theory of fault is usually negligence, meaning that the driver failed to act reasonably in the operation of his or her vehicle. A driver is required to drive in the way that a reasonably prudent person would drive. A driver cannot drive in such a way as to needlessly endanger other motorists or pedestrians. In other words, drivers must drive at a safe speed. Any deviation from this book rule can be considered negligence, i.e. excessive speeding, failure to yield, failure to signal a turn or a lane change, running a stop sign, or any other traffic infractions. The burden of showing negligence is on the one who brings the case, or the plaintiff. The plaintiff must show that the driver of the other vehicle was not acting as a reasonably prudent driver would have acted and that the failure caused the party’s injuries. Receiving compensation for the injured party’s medical expenses, lost wages and for the injury itself are some of the most important aspects of any person injury case, especially car accident claims. The injuries associated with car accidents can be severe, such as broken bones, torn ligaments, and soft-tissue injuries from whiplash. The attorneys at Lebowitz & Mzhen Personal Injury Lawyers work with insurance companies to ensure that past, present and future medical expenses and lost wages will be covered. If you or a loved one has suffered an injury from an automobile accident, we strongly advise you to speak with a personal injury attorney who is experienced in handling personal injuries resulting from negligence in auto accidents. Our personal injury lawyers have years of experience in handling motor vehicle injuries and accidents, and we will be happy to speak with you. To schedule your free, no obligation consultation regarding your motor vehicle accident and injury, email Jack Lebowitz or Vadim Mzhen or call, toll-free, at (800) 654-1949. What is the Statute of Limitations for Recovering Damages Following a Maryland Car Crash? For most Maryland traffic collisions, any personal injury claim or lawsuit must be initiated within three years following the event. This means that if an individual was injured in an automobile or trucking accident on October 1, 2018, he or she must file a claim or personal injury lawsuit no later than October 1, 2021. It must be noted, however, that even though three years may seem like a long time, as experienced attorneys working in the area of personal injury law we always remind potential clients never to wait until the last minute to consider filing their claim. Whether a lawsuit is for personal injuries or wrongful death, if you believe that your case has merit, we recommend that you contact a qualified legal professional as soon as possible so that you can leave your attorney sufficient time to prepare your case thoroughly. Insurance companies know Maryland’s statute of limitations provisions very well and it is hardly unusual for negotiations between policyholders and insurance companies to drag out to the point that the deadline for filing a lawsuit is looming large on the horizon. Sadly, the longer one waits — and the shorter the time to the filing deadline — the less likely that a lawyer will want to take on a personal injury case. In fact, as that deadline draws near, policyholders often find that the insurance adjuster becomes less and less interested in negotiating. This is because insurance companies know it becomes more and more difficult to find a lawyer to handle a case when time grows short. Therefore, if you or a loved one has been involved in an injury-related traffic wreck, consider speaking with an attorney at least six to nine months before the limitations period expires. At Lebowitz & Mzhen, LLC, we are ready, willing and able to help you and your family. Help us help you by calling to arrange a free, no-obligation initial consultation following an injury accident. You owe it to yourself and your family.